Brothers Glass & Mirror offers the best in residential, commercial, and industrial glass repairs and replacement services. 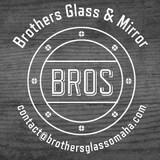 Based out of Omaha, Nebraska, Brothers is locally owned and operated to keep our prices competitive and affordable for our valued customers. Since we are a small family business, we are able to cut out the expensive middle man which allows us to keep it to personal with quality results. Contact us to schedule your appointment today! We look forward to working with you. For the first time, enjoy the unique harmony of a breathtaking walk-in shower and an invigorating steam shower in the same space. The Air Pocket System is the only shower door solution for this beautiful design. Hidden within the wall, it creates an airtight, maintenance-free, simple seal to keep steam in and uses a hidden chamber with powerful air jets dry and clean the glass door, completely hands-free. 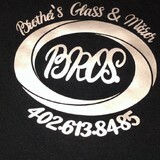 Serving Omaha and the surrounding areas For any of your residential glass needs, please call (402) 397-7812 for an estimate! 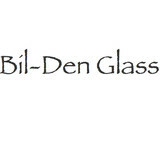 What can a local Omaha glass company help me with? If it’s a major home glass repair or replacement, the Omaha glass company should work directly with your insurance company to help bring down costs for you, if applicable. 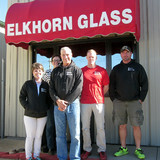 Find Omaha glass companies on Houzz. Narrow your search in the Professionals section of the website to local glass, mirror and shower door services in Omaha, NE and read reviews and ratings to find one that fits your needs.